Please tell us about the Janitorial Service you need and a when you would like us to come by for your free estimate. Send us a note for a free quote! Running a multi-tenant office building can be a daunting task. Your property's size and the number of tenants using the space at any given time are both factors that can make even simple tasks like routine cleaning more challenging than usual. Creating a safe and healthy environment is crucial to maintaining work productivity and your tenants' comfort. In order to preserve your clients' satisfaction and prevent complaints, or worse, tenants leaving your property, hire a reliable professional janitorial company that can cater to your building's specific cleaning needs. 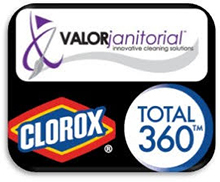 Contact Valor Janitorial if you’re looking for expert janitorial services in Dallas, Texas. We specialize in cleaning large offices and production plants, and we’ll get the job done safely, efficiently, and without disrupting the day-to-day workflow and activities on site. Valor Janitorial is committed to providing the best possible services to all our clients in the Dallas, Texas area. Our staff has been fully trained and are competent in the latest cleaning technologies so that every job is done with the utmost care and professionalism. Full office cleanings are done with expert thoroughness so you can be sure that you are getting exactly what you are paying for. Our cleaning methods and equipment also ensure that your area is properly sanitized, in order to protect you and your tenants’ health and safety. Our cleaning methods also eliminate any debris or particles that can damage your HVAC systems and other delicate equipment. We also make sure that we send enough staff members to complete each project in the fastest time possible. We also have an office cleaning special, offering your first month of office cleaning service for free when you sign up for our services. When you want the Valor Janitorial team to clean your property, contact us at 214-238-9550!